The esoteric meaning of the unit is not so much that it is the first element of the sequence of the natural numbers in terms of modern mathematics, but in the fact that it serves as a symbol of integrity and unity. In his divine aspect of the unit is a symbol of the activity, a spiritual principle, and results from the unmanifest state, and graphically depicted in a circle of radius (Divine activity). In the aspect of natural (outer) unit presented as a symbol of unity and activity of nature. Finally, the human aspect of the unit represents an active spiritual will of man, which expresses a direct position of a living human body in an upright position. Graphic representation of the unit is a vertical line, arrow, aspirations up or the letter A (Aleph). Even Diogenes Laertius sought to show the decisive role of unity everywhere: “The beginning of the unit, the unit as a reason to be as vague edinidvoitsa substance, of units and the number come Indefinite Dyad, of the numbers – points, points out – lines, of which – plane figures; and so forth. ” Saint-Martin, to emphasize the purely spiritual nature of the unit, which is manifested only in contact with other numbers symbolize the material plane of existence, has argued that the unit, multiplied on itself, always gives one result, and therefore can not produce anything new. These units philosophy refers one Divine world, one sun for the world, one light, in which the world can burn. It is because of their original separation from the world of multiple unit called a monad. 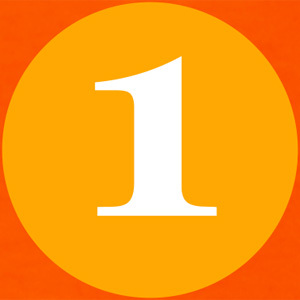 The number “one” esoteric identified with the concept of “the Center for Peace,” is a prime mover unmoved, undeveloped point, rich creative force. One dam equates to good, high moral strength, seeing in many ways – the evil. Agni Yoga has much to say about the One element in the universe and based on the principle of unity, is a manifestation of the existence of a single element.